Urban forest patches are generally small with highly contrasting edges bordering non-forest habitat, landscape features that increase with urbanisation. These forest patches are also subject to high human foot traffic resulting in trampling and other user disturbances that affect their quality as habitat for invertebrates. We studied the effects of these factors on carabid beetles in urban forests in the cities of Helsinki (Finland) and Edmonton (Canada). 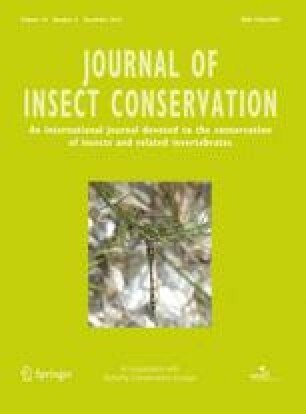 In both cities, the structure of carabid assemblages was affected by trampling intensity and distance to the forest edge. Moderate intensity of trail use was associated with increased beetle captures, especially in Edmonton. The effects on individual species were apparent in Edmonton but harder to demonstrate in Helsinki where forest specialist species may have been largely extirpated already. We suggest that these differences result because there has been a long history of fragmentation of urban forest patches in Helsinki, species loss from such patches is gradual, and understorey vegetation structure constrains human foot traffic in forest patches more in Edmonton than it does in Helsinki. The online version of this article (doi: 10.1007/s10841-012-9475-2) contains supplementary material, which is available to authorized users. We thank HENVI (Helsinki University Centre for Environment) and NSERC (Canada) for funding this project. Thanks also to Hannu Rita for his considerable help at the design phase of the project, and to Franck Quéré, Julia van Laak, Weronica Isaksson, Dustin Hartley and Stephane Bourassa for assisting in the field and in the laboratory. MK and JRS thank the staffs of Elk Island National Park (Conservation Biologist Norm Cool), Strathcona Wilderness Centre (Supervisor Jean Funk), and Cooking Lake Recreational Area (Conservation Officer Wayne Edwards) for permission to do this work. We thank the two anonymous reviewers for their constructive comments.